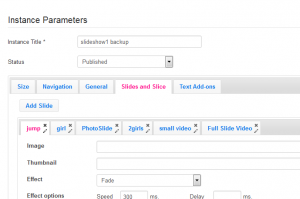 How to publish 2JSlideshow in module, how to setup it properly? This entry was posted in 2JSlideshow. 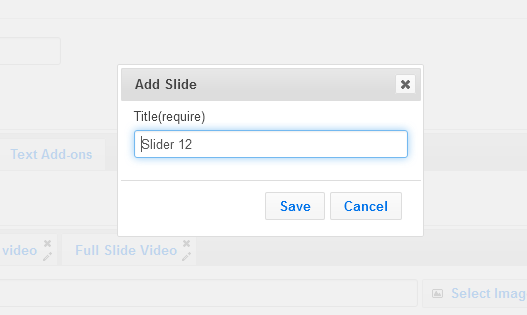 How to create slides in 2J Slideshow? 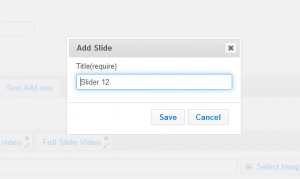 You can create slides using slides manager. When you open slideshow for edit you can see Slided and Slice section where you can create all slides and manage every slice of this slides. Here you can see Ad d Slide button. when you click on this button you’ll see confirmation popup where you can select title for the new slide. 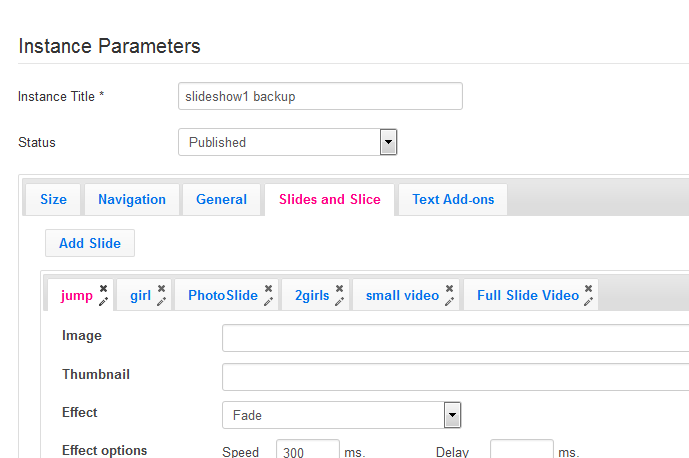 Click save button and you can move forward with building slices for the new slide or create more slides if you wish. Slides Settings contain really wide range of the configurations. Here you can select effects and customize all additional settings for every effect. Define all timers, background images and colors. Enable Lazy load options for proper pre-loading functionality for the case of the heavy slides. Next steps related with slices management.